These pages are under construction. In the meantime, please refer to the links on related projects for details on the research. The aim of the project is to use computer-animated virtual teachers and speech technology in combination to improve self-studies in second language learning. Students practicing with currently existing software for pronunciation training often receive no help on how to correct errors. Such practice is hence focused on repetitive trial and error, which makes it less effective and less engaging. We want to overcome this problem by introducing virtual teachers that can provide their students with varied language lessons, from articulation, perception and vocabulary training to spoken interaction in conversations with animated agents. A pedagogically effective system should also give relevant feedback on where the errors occur, what they are and how the pronunciation could be improved. To be able to do this, we will develop speech analysis methods that identify pronunciation errors and estimate how they occurred. The analysis will be based on combined theoretical linguistic knowledge about common pronunciation errors and statistically trained speech recognition. 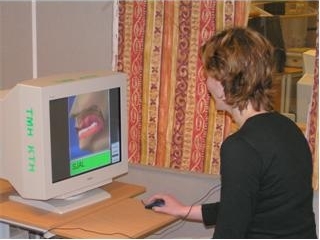 The feedback, didactics and effectiveness of computer-based language learning will be studied in user tests carried out in collaboration with second language teachers. The proposed project could give an important contribution to computer-assisted second language learning, which in the future can have a major impact in both societal and economical terms.